In an effort to clarify many community members concerns. 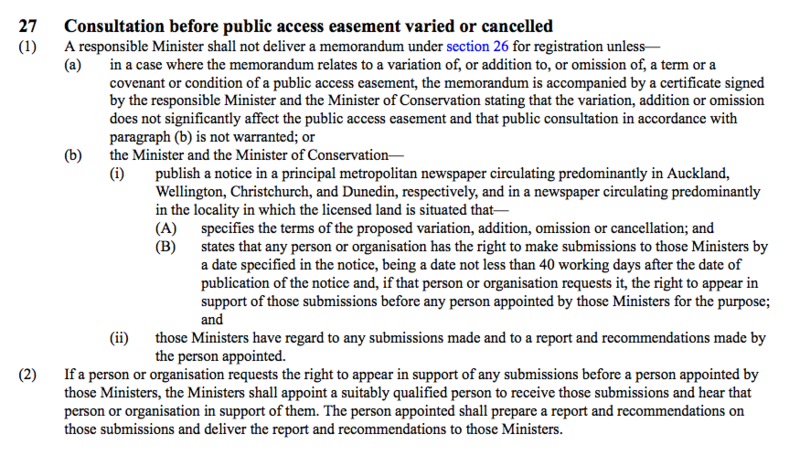 ANY changes to the easement along Pacific Road need to be sent to the Responsible Ministers under the Crown Forest Assets Act. As part of this process the affected community needs to be publicly notified and a submission process followed. We hope that the Developers and Auckland Council can come to their senses and reassess the proposed movement of the carpark before it gets to the Ministers, but there is an opportunity for each and everyone of you to have your say.